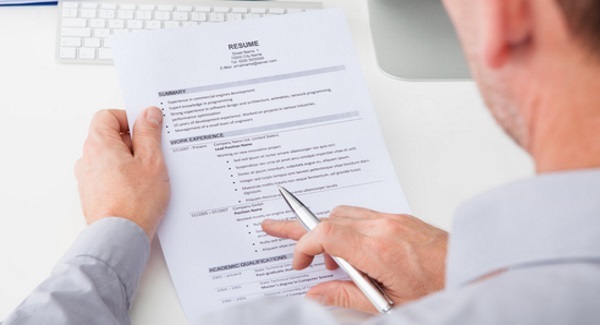 Talk me through your cv is a question that is almost guaranteed to come up during an interview. It is a fantastic opportunity to prove to the interviewer that you are the right fit in terms of your experience and skill set. So how do you ensure that you are selling your brand? A good rule of thumb is to view your CV as a journey, even if you have worked in unrelated industries try to focus on the common thread between roles in terms of skills gained and how these relate to the role that you are applying for. * Begin by advising the interviewer of where you want to start, a good place is education, explain your education and if relevant how this relates to the role that you are applying for. * Ensure that you talk about each section in a clear enthusiastic manner. * Avoid giving too much detail on any one role, instead focus on tailoring your answers to the questions being asked and the role that you were applying for. * Focus on highlighting an achievement or skill gained in each role that will be attractive to your prospective employer. * Mention technical skills that you have that relate to the role. * Pitfalls to avoid include talking endlessly about any one role or talking negatively about previous employers or conditions, the interview is not the place for this. * Ensure that you are clear on dates and your reason for leaving each role. In conclusion this a question that most likely will be asked, so with a good deal of preparation prior to the interview you can ensure that you have the best possible chance of securing that role. Carmel Morrissey is a Career Coach with Clearview Coaching Group one of Irelands leading career coaching consultancies set up in 2004 to work with people who experience career disappointment and specialises in providing Interview Coaching Services.